Let’s be honest. When someone offers you a nice, refreshing beverage, the last thing you’re expecting them to hand you is pickle juice. But before you dismiss the idea of drinking something that sounds gross, think about how delicious pickles are. 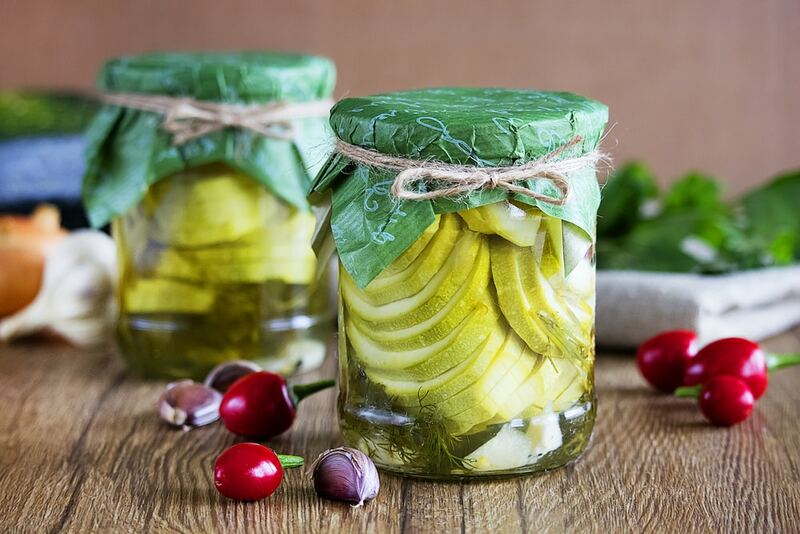 If that doesn’t have you sold, then consider the fantastic health benefits of pickle juice that you probably weren’t aware of, such as weight loss and better breath. You’ll be especially keen to try pickle juice if you’re an athlete with sore, achy muscles. 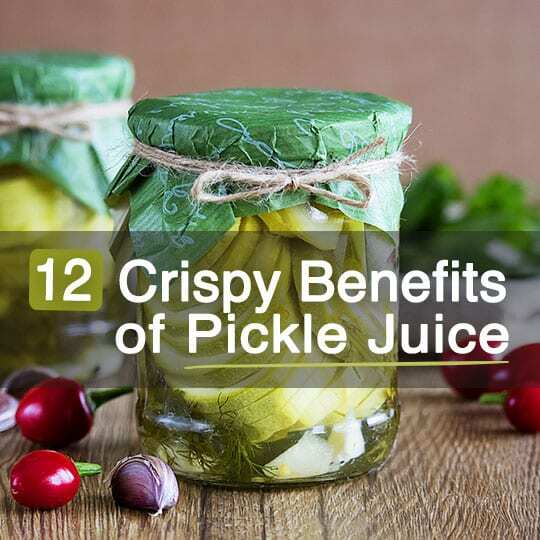 Here are 12 benefits of pickle juice and tips for making it your new favorite drink. 1. It soothes sore, achy muscles. According to a study published in Medicine & Science in Sports & Exercise, drinking about one-third of a cup of pickle juice provided enough electrolyte support to soothe muscle cramps and aid in a faster recovery time in dehydrated men. The study found that the pickle juice worked better than water at relieving achy muscles, but it should be noted that you still need water after a hard workout too! Mixing pickle juice with water is a great way to get both. 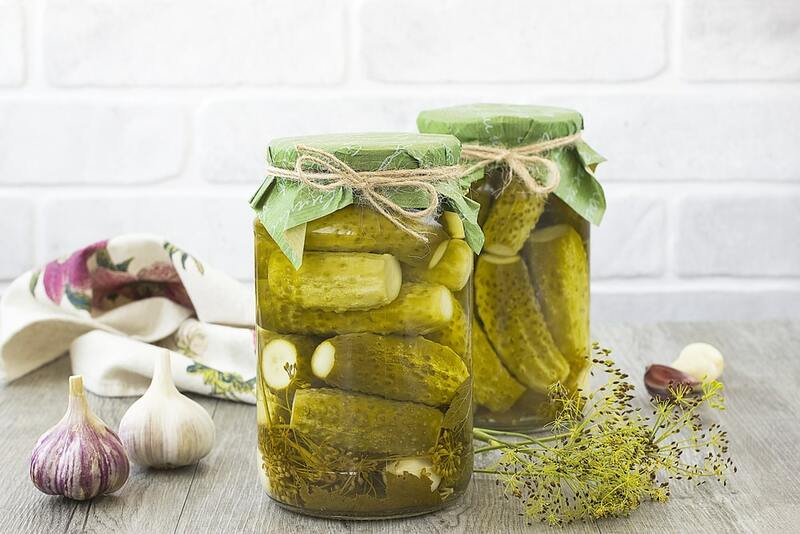 Researchers believe that in addition to providing electrolytes, the vinegar in the pickle juice may explain why the subjects who drank it had rapid pain relief. This is because vinegar may help inhibit the nerve signals that cause you to feel pain. 2. It helps you stay hydrated. Tired of drinking water on hot days to stay hydrated and need something with a little more jazz to keep you interested? Try some pickle juice. We’re not kidding. You might notice that when you sweat, your skin gets salty. That’s from the sodium that you’re losing. Pickle juice contains potassium and sodium to help maintain your hydration and balance electrolytes so that you remain hydrated throughout hot days, workouts, or even when you’ve been out drinking too much. If you have high blood pressure, you may want to limit your pickle juice intake due to its high sodium content and save it for when you need it, such as during exercise. Chances are you already have pickles in your refrigerator right now, which means that you have access to pickle juice without having to go out and buy more. Some store-bought brands go for less than two dollars a jar, making pickle juice a much less expensive item to buy than Gatorade or other sports drinks. Most pickle juice is very low calorie, depending on what’s in it. This comes in handy if you’re trying to watch your calorie intake. Pickle juice can have anywhere between zero and 100 calories per cup, so make sure you read the label when picking out a store-bought brand. Look for one that contains no added sugar to keep the calories down. If you’ve ever read the nutrition label on a bottle of Gatorade, then you know you’re drinking a ton of sugar. Sure, you need a little bit of sugar if you’re exercising hard, but not that much. Pickle juice is naturally sweet due to its vinegar content, and the best news is that it won’t spike your blood sugars like a bottle of Gatorade would. As always, make sure you buy a brand of pickle juice that doesn’t contain added sugars, otherwise this point is moot. Pickle juice is a good source of vitamins C and E, which act as antioxidants in the body to reduce free radical damage. Why is that important? Free radicals accumulate in the body in the form of toxins where they cause inflammation and are disruptive to your health. The antioxidants in pickle juice bind to free radicals and donate an electron to them to make them stable and no longer harmful to the body. So go ahead and take a gulp. 7. It could help you lose weight. Here’s a good reason to give pickle juice a try: it could help you lose weight. That’s because of the vinegar, which has been shown to promote weight loss in test subjects, according to one study. The 12-week-long study had participants drink either one-half an ounce or one ounce of vinegar every day. Results showed that the vinegar-drinking subjects lose more weight and fat than those who did not drink vinegar. 8. It helps you maintain normal blood sugar levels. 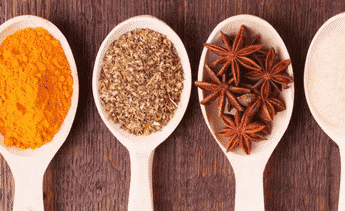 According to a study published in the Journal of Diabetes Research, consuming vinegar before you eat a meal can help control blood sugar levels in people with type 2 diabetes. Other research has shown drinking a tablespoon or two of vinegar before you go to bed can have the same blood sugar stabilizing effects. Even if you don’t have type 2 diabetes, it’s worth a try if you know you will be eating a higher carbohydrate meal and want to avoid the post-meal sugar spike (and drop). 9. It improves your gut health. Need a reason why you should pay more attention to your gut health? We’ll give you two good ones. First, your gut houses most of your immune system, so you want to be kind to this area of your body. It’s also responsible for producing about 90 percent of your serotonin levels, and deficiencies have been linked to depression. 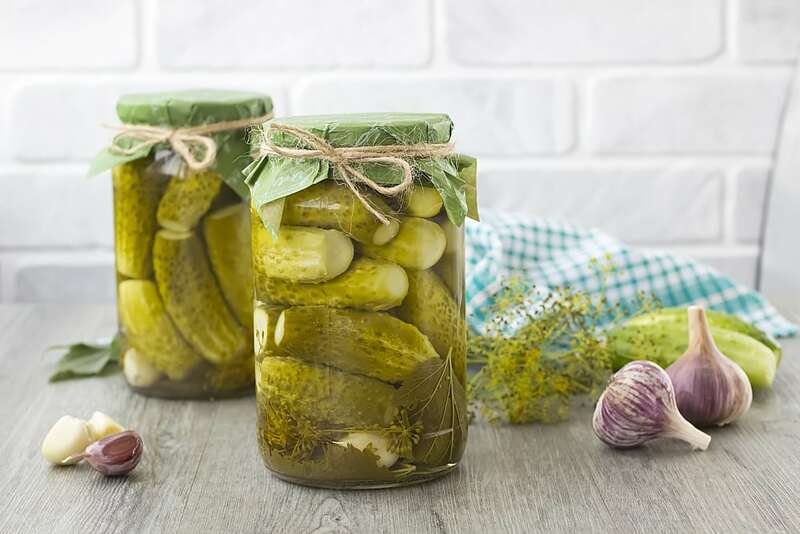 Because pickle juice contains fermented vinegar, it boosts the good bacteria in your gut to ensure that all of the areas of your body work properly. 10. It may lower cholesterol. Speaking of dill, did you know that this powerful little spice comes with a bunch of benefits? For example, research shows that dill may be able to help reduce cholesterol levels. 11. It gives you good breath. Did you just eat something smelly and don’t have access to a toothbrush? Grab some pickle juice! The vinegar and dill in pickle juice contain antibacterial properties to kill the bad bacteria in your mouth that gives you smelly breath. Your co-workers will thank you. 12. It reduces stomach cramps. Everyone east something that doesn’t agree with them once and awhile. 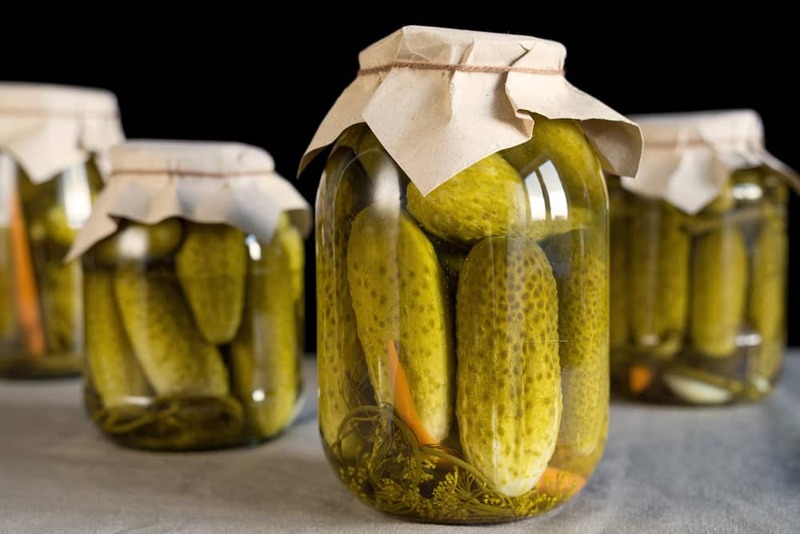 Luckily, the dill in pickle juice has been shown to relieve stomach upset by soothing muscle cramps, alleviating abdominal pain and gas, and assisting with indigestion. If you’re one of those lucky people who already love the taste of pickle juice, then consider yourself lucky. Some people think it’s gross, mainly because they’ve never tried it. So if you’re skeptical about downing pickle juice, we’ve got some tips for you. The first is to experiment with different types of pickles. Sure, you really only have two options to choose from: dill and sweet. (By the way, if you’re confused, dill is the way to go.) But you can try different store-brands until you find one you like. Keep in mind that ingredients matter. It might be worth it to spend the extra dollar or two to find a premium jar of pickles. 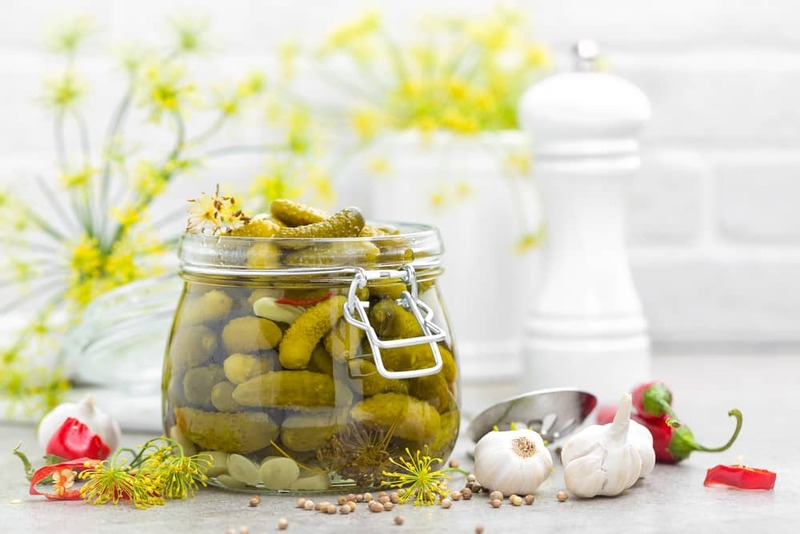 Organic pickles are a good way to go because they are less likely to contain fillers and other garbage in their juice, such as refined sugar, preservatives or way too much sodium. When it comes to picking out pickles at the store, remember to keep it simple. The only ingredients you really need are filtered water, organic vinegar, sea salt, dill, and added vitamins and minerals. The salt alone should be enough of a preservative to keep your pickles fresh, so lay off the ingredients you can’t pronounce. 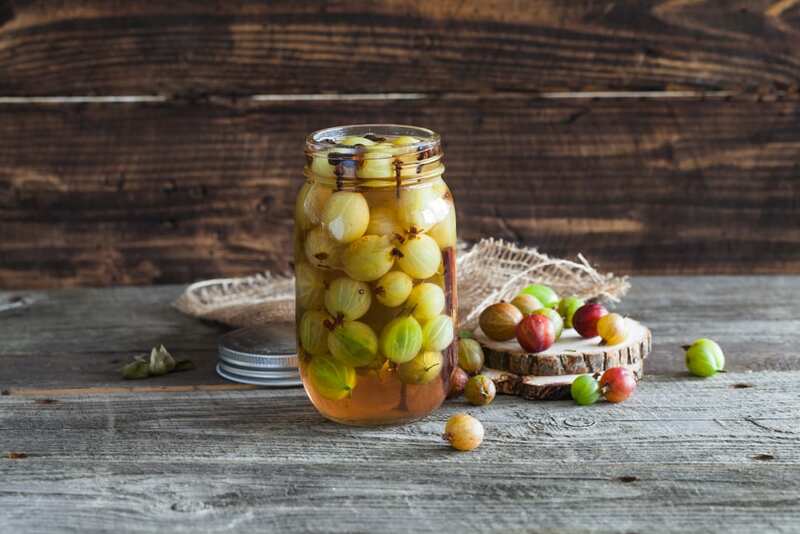 You can also make your own pickle juice at home using simple ingredients, but many people find that they taste better after you eat all the pickles out of the jar first!